This is the public profile of Ding Dong, Additional information and high-resolution images are available for accredited press members, to access additional information about Ding Dong please login as a press member. 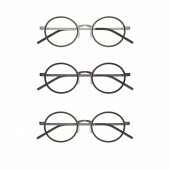 About Ding Dong : Because of the material and structural problems, the design of traditional glasses leads to too heavy wear, which makes the wearer feel uncomfortable and tired. Redesign the structure and material of glasses to give users a more comfortable experience. We re-think through the material and structure of the glasses, combined with factory manufacturing experience of glasses to re-design materials and structures. Our design not only enhances the service life of our products, but also eliminates the unnecessary labor input and production and processing links in the production process and enhances the sustainable use of our products. The TAPOLE T series uses high standard technology to incorporate nylon and titanium alloy glasses frames without the use of screws or adhesives. Based on the characteristics of titanium alloy sheet material, without using screws and welding, the titanium alloy sheet after laser cutting and bending to form a unique hinge structure. The use of titanium alloy sheet material properties for the temple provides excellent adjustable and flexibility. The specially developed adjustable nose pad structure helps to provide comfortable, long-lasting wear, Even in the movement is not easy to fall off. Press Members: Request an exclusive interview with Ding Dong.